Micro-g NExT is a year-long design challenge hosted by NASA’s Johnson Space Center in Houston, TX. For the 2019 competition, we have chosen the Mini-Arm End-Effector challenge. 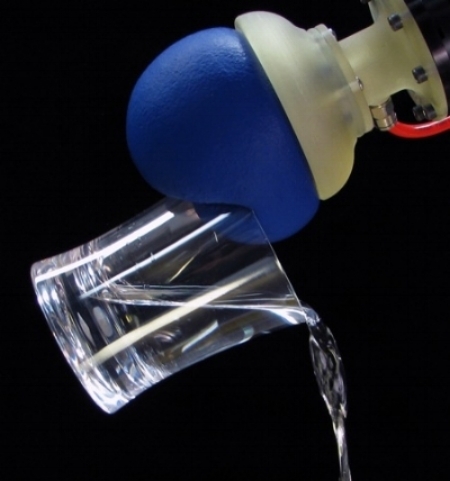 Scientists and engineers at the Jet Propulsion Laboratory (JPL) have designed a robotic arm that will be used to handle samples underwater on missions to ocean worlds like Europa and Enceladus, and we are designing and building a gripper that will interface with the robotic arm and interact with samples. Our design uses a soft robotics approach that involves a granule-filled bag that can go between malleable and rigid states to achieve grip. Team members are gaining valuable hands-on experience with mechanical and electrical engineering. The team is led by Nina Arcot ‘20.